Perchlorate, a byproduct of bleach and packaging, is found in organic, conventional, and bulk foods alike—and it has an outsized impact on children's health. Perchlorate, which comes from both natural and synthetic sources, has health experts concerned because it has an outsized impact on children. It’s been found to disrupt thyroid function, reducing production of a hormone needed for healthy brain development; insufficient levels of this hormone in a developing fetus have been associated with significant declines in IQ, among other impacts. Since the agency approved the chemical, the FDA’s own scientists have found that perchlorate exposure in children has climbed significantly. The agency published a study in 2016, for example, showing that infants were ingesting 34 percent, and toddlers 23 percent, more perchlorate through food between 2008 and 2012 than before it made its 2005 decision. Health experts are alarmed by these increases, and, because of how it interferes with their developing brains, by the fact that children are the most exposed to the chemical proportionate to their body weight. A number of environmental and health organizations, including EWG and the EDF, have been calling on the FDA to ban perchlorate in food. In the meantime, according to Neltner, some states are considering whether to take their own action. “We are also talking to food companies and others about testing food products for perchlorate contamination, since FDA apparently stopped its own testing program after 2012,” he said. Particularly frustrating for Neltner and colleagues is that in most or all instances, perchlorate is entirely avoidable. It appears in food both deliberately and inadvertently; it’s added to plastic food packaging as a way to control static electricity, and is also a byproduct of bleach (which is widely used to clean food processing equipment and fresh produce) when it breaks down, often from age or improper storage. It’s easy to eliminate perchlorate coming from bleach, Neltner argues, because it doesn’t require any change other than due diligence in how the bleach is used and stored—not in the sun, for example. “You don’t have to get rid of bleach, you just have to better manage it,” said Neltner. In addition to calling for more effective regulation, he said he and colleagues are trying to work with bleach manufacturers to educate their own customers about best management practices. What’s more, the impacts of perchlorate exposure may be mitigated in children who have adequate iodine intake. Most people lack iodine because sea salt is used in place of iodized salt, or due to the increase in specialized diets, which can be low in iodine, or higher consumption of processed foods, the salt in which is usually non-iodized. Perchlorate interferes with the thyroid in part by blocking iodine uptake, and iodine is crucial, particularly during pregnancy and infancy, for healthy brain development. Deficiency can impair neurodevelopment, with impacts as simple and perhaps unnoticeable as reduced IQ and increased risk for attention deficit hyperactivity disorder. Pregnant women also tend to consume less iodine than the fetus needs, particularly when it’s most vulnerable to the impacts of perchlorate exposure. The industry could avoid it, but doesn’t mean that consumers can. 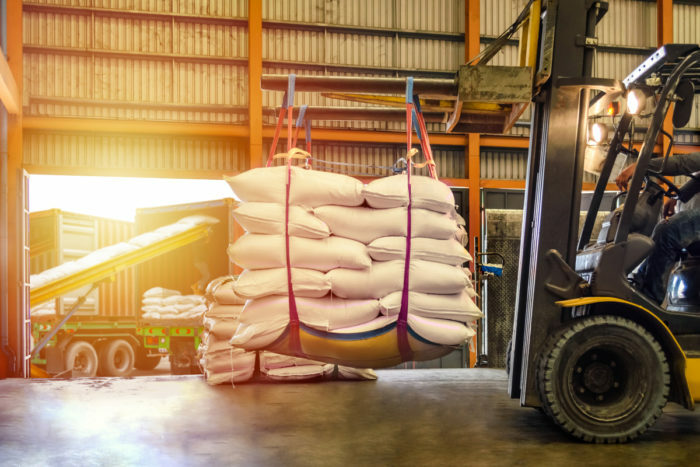 It enters food when it’s still upstream from becoming a retail product—in large-scale storage and facility cleaning, for instance—so even steps like buying shelf-stable foods in bulk or bringing your own cloth bag will not spare you the exposure. In its response to the initial petition, the FDA suggested that the chemical doesn’t leach from bulk packaging into the food, but Neltner says the data shows otherwise. It’s hard to identify the full scope of where and how it happens, but, he says, it gets an open invitation when a dry food is transferred out of a massive storage bag. After the agency approved perchlorate as a food additive, EDF, EWG, and other organizations filed a petition to fight that decision. The agency denied it in 2017—on the same day it approved an industry-supported petition to remove the use of potassium perchlorate in sealing gaskets for food containers. In response, the groups filed an objection to that decision, and requested a formal public hearing that would allow for an independent judgment of the evidence. The FDA has not issued a response to that challenge, and the agency declined to be interviewed for this story. Neltner and colleagues expect a decision imminently, but say in the meantime, children continue to be put at risk. Perchlorate is also turning up in water supplies, with one estimate from 2015 suggesting that 7 million people around the country had some level of perchlorate in their water. The U.S. Environmental Protection Agency (EPA), which also declined to be interviewed for this story, has been working to reduce public exposure to perchlorate, but until it takes more rigorous action, health experts say the risks to children are that much greater. Setting a standard for perchlorate in drinking water can go a long way, she said. “Without a standard, any amount of perchlorate in water is legal,” added Naidenko. That makes it harder for state agencies to act on perchlorate contamination, because they have no healthy limit to point to; and as an unregulated substance, it’s not tested for routinely in food, meaning that current estimates of exposure likely significantly underestimate the extent of the problem. Like in food, bleach is one source of perchlorate contamination in water; and like Neltner, Naidenko isn’t arguing for water agencies to stop disinfecting water, just for the EPA to require more due diligence in how they do it. “The EPA’s job is to make sure the disinfectants are not bringing in additional toxic chemicals,” she said. There’s a lot about perchlorate, and other chemicals in food in general, that we don’t yet fully understand, because the research is so far behind. “They’re using science from the 1980s, and not applying what we know today,” said Neltner about the FDA’s approach to acting on perchlorate. But while there are some things we don’t know yet, such as the full list of possible sources, or the full extent of foods that are contaminated, he added that the lack of information is all the more reason to be concerned. “We don’t know, but we think we should figure it out,” Neltner said. As water commissioner of a rural village in NYS with an independent source of water, should we and how can we test our water supply for perchlorate? I was just writing the Washington Post, about this subject, not zeroing in on what is revealed in this article but 'just? overall' contamination of toxic chemicals in everything. IQ seemingly has descended in the last decades due to toxic food (Glyphosate) and hundreds of other substances. This seems a deliberate intent of dumbing down the population. While the US has IQ of 99, Singapore has 109 - the highest in the world, also has the highest PIB of US95.000 per capita. They win every contest in education. Cooperativism, National Bank, free education and health system, plus organic food sponsord by the food cooperatives (legumes and other produced in buildings) have contributed to this success. No coruption (death penalty for corrupt official). In the US, however, it is anathema to talk about these reforms, because the corrupt elite that has enslaved the population (through processed products) and have made everybody actual endebted slaves of the Bankers, have manage to depress the IQ of the general population. The US counts only IQ of 99 - it means that a difference of 9 points makes a lot of difference! What would expect from the FDA? Look at the medications they allow people to take. 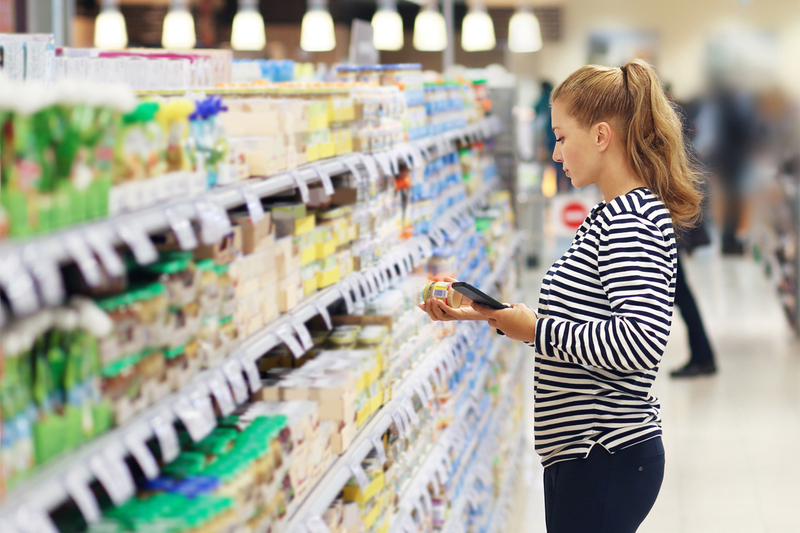 Your readers might like to know that FDA accepted the Plastics Industry Association’s (PLASTICS) food additive petition based on the fact that potassium perchlorate was no longer used by industry in these applications. In many ways, the PLASTICS petition was not in opposition to the NGO’s position because we also sought to remove an unnecessary listing. - A safety determination was unnecessary because no exposure to consumers results from a substance that is not being used. - FDA should de-list potassium perchlorate on this basis. Based on the evidence presented by PLASTICS, FDA agreed to de-list perchlorate, which preempted the NGO petition.